That summer, Rachael taught music to Air Force Cadets at their training camp in Penhold, Alberta. 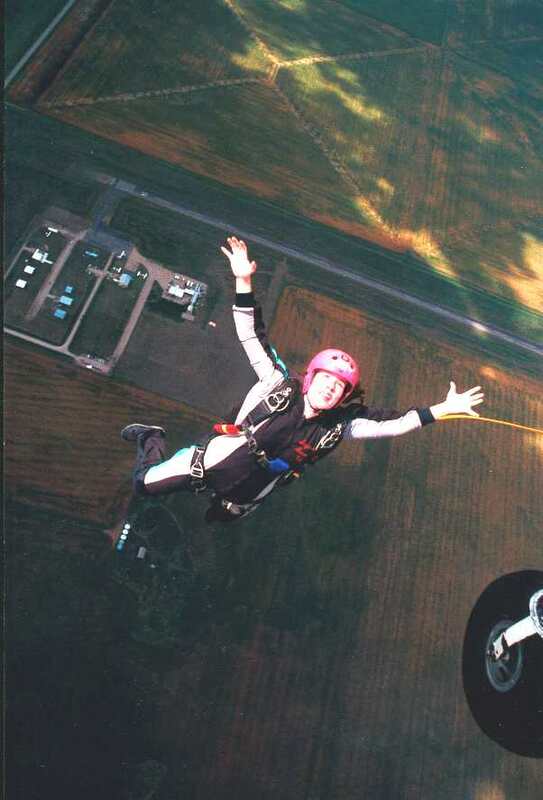 She and a group of friends thought it would be cool to try skydiving. This is Rachael, on her way down. Evidently, her posture is pretty professional! Needless to say, Dad was terrified when he heard about it!